You’re greeted by the Blob, which looks like a jumping castle floating in the water. Two friendly gentlemen wave at you from a small tower overlooking the castle. 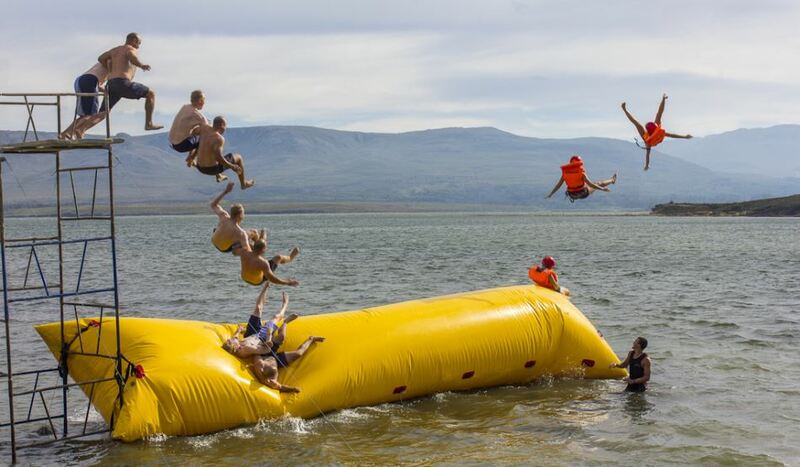 You climb onto the water-facing side of the blob and wait. The two gentlemen jump off the tower onto the opposite side of the blob, and an indomitable force launches you into the air. 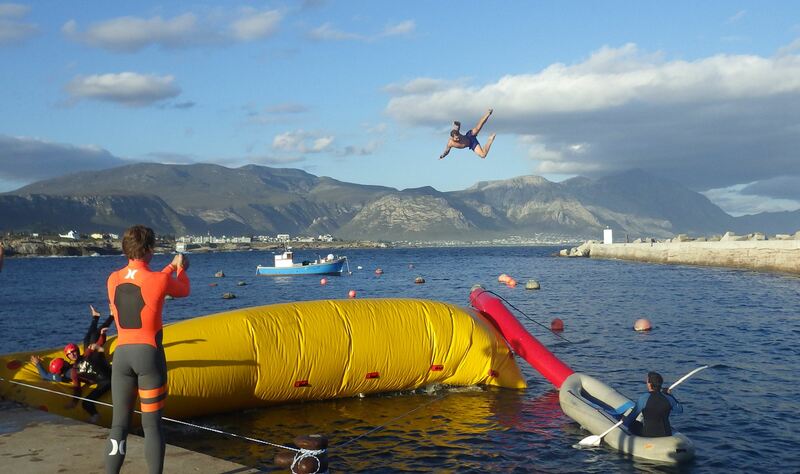 Who said jumping castles are only for kids? Blob at SA Forest Adventures is 5.3km from the centre of Kleinmond , the nearest airport 56.7km (Cape Town International Airport).